May 18, 2015 . . .
Mitra, a 41-year-old divorcee from Tehran, is quick to point out the hardships of living alone. “As a woman, you face a lot of problems in society, including not being able to rent a home easily. Most landlords don’t rent their properties to single women. The majority of estate agents reject you from the outset.” Mitra separated from her husband nine years ago. But, after two years of living on her own, she found that society’s disapproval was too much for her to handle. In theory, the law in Iran permits young, single people to live by themselves. But the reality is that society frowns upon it, regardless of gender. Some hardliner media and authorities equate the term “home for a single person” with a “place of depravity, debauchery, drug addiction and crime.” In June 2014, the website Shafaf ran a report that linked the increasing number of drug addicts in Iran with the fact that more young people had chosen to live alone, an argument that was corroborated by Khabaronline earlier this year when it published an article that claimed drug addiction among students was highest for those living alone. According to Tabnak news, living alone also leads to violence. It reported on the story of a female drug addict who lived on her own, got into a fight with some friends and murdered a young man. And recent reports by Hamshahri newspaper claimed that "living alone can damage family values." Although single living in Iran is difficult for all young people, it is especially challenging for young women. Iranian authorities do not support single women living alone, partly because they deem them to be at great personal risk. Fahimeh Farahmand, the interior minister for women and family affairs, voiced this when she said that the increasing number of single women living alone “worries us” and that the issue threatens society and traditional family values. Hoda, a 32-year-old woman living in Tehran, has also encountered difficulties with living on her own. Ultimately, many Iranian women, like Hoda, would rather stay in unhappy marriages than face the difficulties of being divorced and living on their own as a single woman. This mentality is deeply entrenched with Iranian society, and has led to authorities trying to segregate women and men in certain sectors. 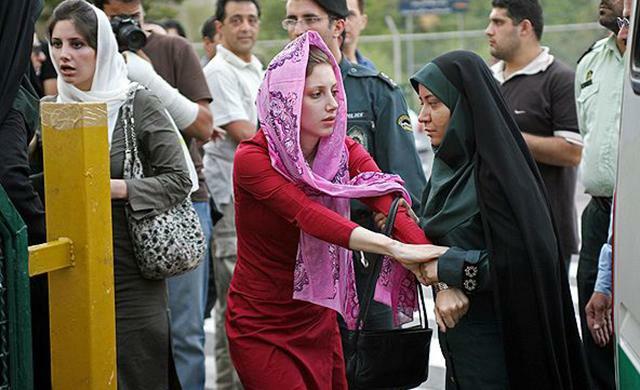 In July 2014, the gender segregation initiative in Tehran was launched, aimed at deliberately separating workspaces for men and women and limiting the number of high level jobs that could be given to women — a plan that was welcomed by many conservatives and hardliners in Iran. The number of single-person households in Iran is growing, greatly due to the increasing number of unmarried people and a rising divorce rate. Altogether, a fifth of marriages in Iran end in divorce, according to figures from Iran’s National Organization for Civil Registration. In the past 15 years alone, the divorce rate in Iran has nearly tripled, with some of these women choosing to live alone rather than with their parents. This undeniable pattern is why society should adopt a more modern outlook on the issue. At the same time, the media must assume some responsibility, increasing awareness about the reality of living alone, and supporting those people who live alone for whatever reason. This article has been published on IranWire.